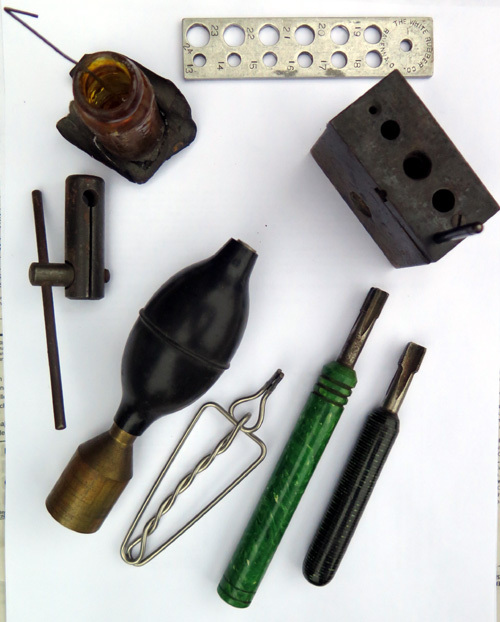 Vintage Pens, Repair Tools, Parts for Sale. Our Stuff Will Improve Your Quality Of Life. Your Heart and Soul will be nourished. BE SURE TO INCLUDE YOUR SHIPPING ADDRESS WITH ANY ORDERS, INQUIRIES FOR AVAILABILITY OR PRICING. You will save us both extra e-mails by doing so. ITEM #S75 TOOL FOR REMOVING THE NIB FROM THE FEEDOF A PARKER 75 . Use your browser's BACK arrow to return to this spot afterword. 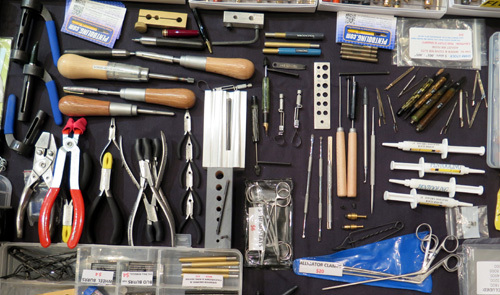 Buy quality vintage pens, specialized pen repair tools, replacement parts and supplies. 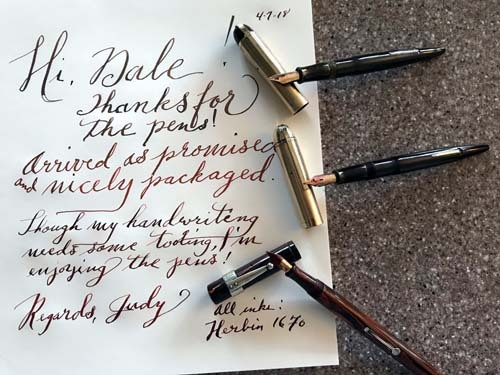 Our pens have been restored and are complete and in working order, unless noted otherwise in the description. 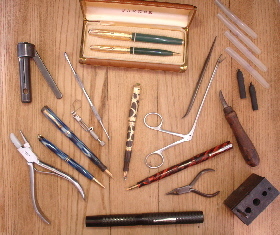 Our tools are new unless noted otherwise in the description. Our parts are new, original used or original manufacturer's New Old Stock (NOS), as noted in the description. DUE TO THE FINITE SIZE OF OUR ALLOCATION OF THE SPACE TIME CONTINUUM, WE HAVE LESS THAN 5% OF OUR INVENTORY LISTED. IF YOU'RE LOOKING FOR SOMETHING YOU DON'T SEE, PLEASE DROP US AN email.